One revolutionary idea can transform an entire industry overnight. At least, that’s what The Ohio State University’s SmartAg4.0 student competition suggests to event participants. Much how ridesharing companies have changed how we commute and short-term home rental companies have changed how we find accommodations, participants in SmartAg4.0 could come up with the next big idea to transform agriculture. “Agriculture is undergoing a significant transformation that rivals historical developments including mechanization, the ‘Green Revolution,’ or biotechnology,” said Scott Shearer, professor and chair in Ohio State’s Department of Food, Agricultural and Biological Engineering. 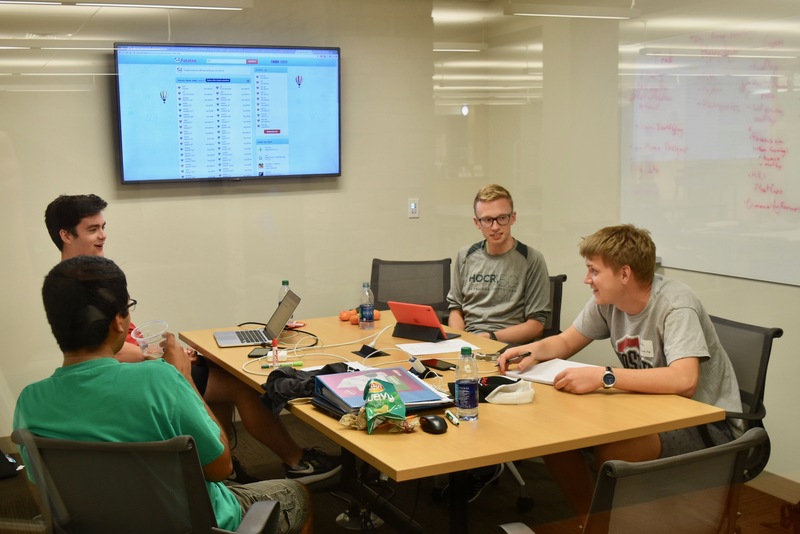 Teams of students work from Friday evening through Saturday afternoon to polish their idea before presenting their pitch. 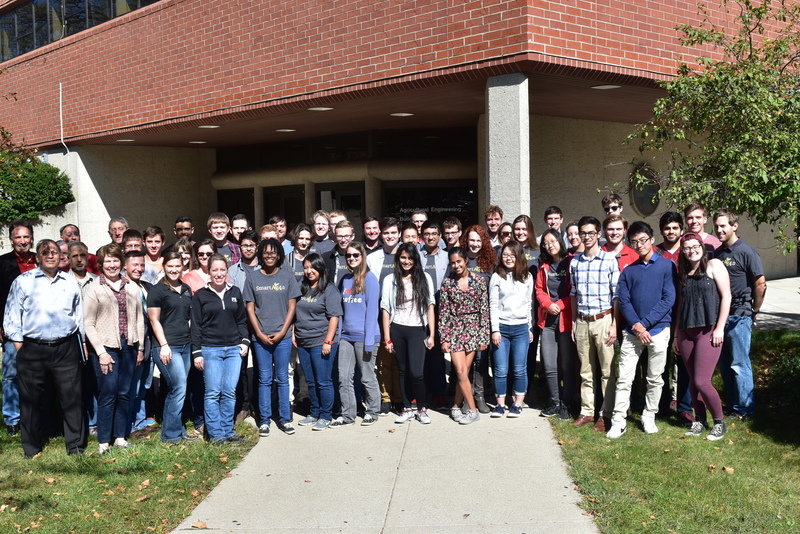 SmartAg4.0 started in 2016 with the idea of offering a “hack-a-thon” style event to students in the College of Food, Agricultural, and Environmental Sciences (CFAES) at Ohio State. Students from across the university participated in the competition, which has continued to grow since its first year. The event is now open to all undergraduate and graduate students enrolled in any Ohio college or university. 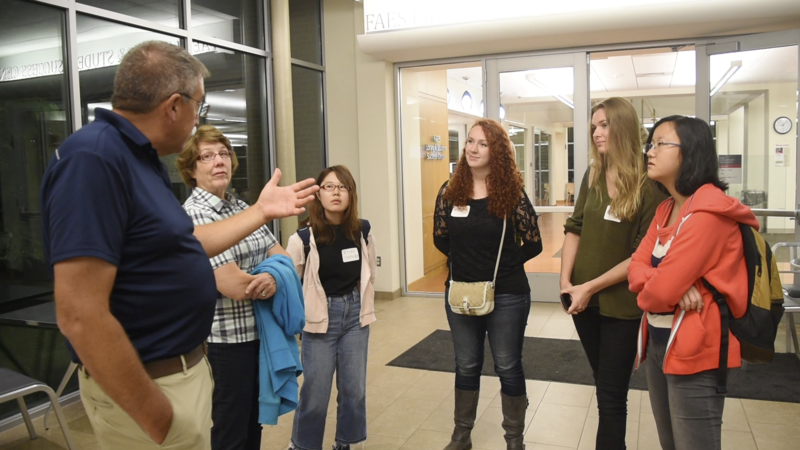 Students form teams to compete in the 24-hour event where they conceptualize an idea to pitch to a panel of judges from academia and agriculture industry sponsors. This year, participants will focus their idea on one of four topics related to the dairy industry: sustainable nutrition, sensors and smart packaging, the Internet of Things, and blockchain. The Internet of Things (IoT) refers to the increasing connection of agricultural systems to the internet, according to the SmartAg4.0 website. IoT-based smart farming connects a network of devices, sensors, software, and more to the internet to improve efficiency. Blockchain, the technology that makes cryptocurrencies possible, is a distributed database where each record contains all the coded history of every block before it, which the potential to transform agriculture through greater data transparency, tracking, and by opening new opportunities for farm data collection and automation. Professor Scott A. Shearer and BioHio President/CEO Shauna Brummet discuss an app idea with a 2017 team of students. Participants are asked to bring an idea and a laptop or smart device to the event, where they network with students and industry leaders to help spark innovation. After forming teams, students work through the night and morning to ready their pitch. Conroy and his team participated in the event last year. They created a wireframe design for an app called “InStock” which would be used by stores and restaurants to manage product and better measure food waste. Other ideas presented during previous years have included: a community garden service for cities, social networking apps for consumers to learn about farms, and ways for consumers to more directly track nutrition. Some student teams have gone on to pursue their ideas beyond the competition and seek commercialization. 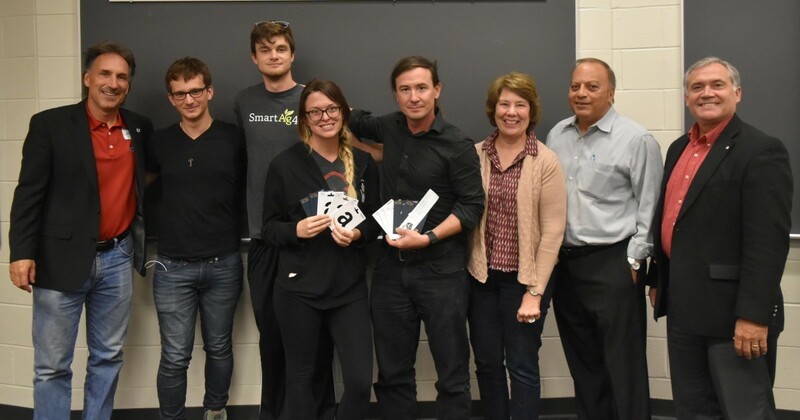 Participants and judges from the SmartAg4.0 2017 event pose together before the final round of judging. SmartAg4.0 takes place September 28-29 on Ohio State’s Columbus campus. Ohio college students interested in participating or agricultural industry companies interested in sponsoring the event can find out more at smartag4.osu.edu.